Join us on Thurs. April 25! Dr. Ali,MD, FACS will be offering a free presentation on breast implant selection, and what women can expect during their breast augmentation journey. Show that special someone how much you love them with a Spa Gift Certificate for Valentine’s Day! One size fits all & they can chose the services they like to be pampered. Most men are so difficult to buy for. This year do something completely unexpected for Valentine’s Day and give him the gift of a men’s facial! Spa Gift Certificates: The Perfect Present for Anyone! Check out our list of perfect, one-size-fits-all Christmas gifts that you can give this holiday with a spa gift certificate. 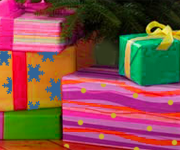 https://birminghammedspa.com/wp-content/uploads/2018/12/spa-gift-certificates.png 150 300 admin https://birminghammedspa.com/wp-content/uploads/2017/11/l-med-spa-2.png admin2018-12-01 06:02:382018-12-31 02:08:30Spa Gift Certificates: The Perfect Present for Anyone! 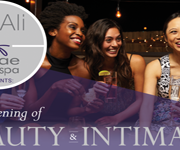 Join us on Thursday, November 15th for appetizers & refreshments, as we talk about women’s health and the latest developments in improving intimacy. 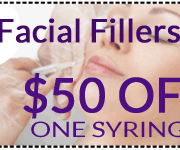 Remove wrinkles, fill lines & plump lips with $50 OFF a syringe of any injectable facial filler. Surprise Dad with this Unique Fathers Day Gift! Only 2 weeks until Father’s Day! Dad’s can be so hard to buy for. Surprise him with an experience he’ll never forget! https://birminghammedspa.com/wp-content/uploads/2018/01/mens-facia-birmingham.png 150 300 admin https://birminghammedspa.com/wp-content/uploads/2017/11/l-med-spa-2.png admin2018-06-02 21:50:092018-10-10 23:09:12Surprise Dad with this Unique Fathers Day Gift! 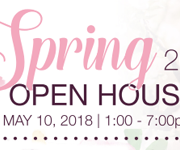 Learn about the latest anti-aging treatments, win prizes & get discounts … at our Spring Open House! Thursday, May 10th. Prizes include microblading, Juvederm, facials, massages and more! Wednesday – Mar. 28, 2018 – 5:30pm to 7:30pm. 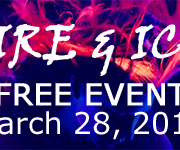 This fun and informative FREE event will introduce you to ThermiSmooth & CoolSculpting, the latest technologies in non-surgical anti-aging and fat-loss. Join Us! 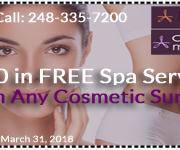 To celebrate the opening of our Birmingham, Michigan Med Spa, Dr. Ali is giving away $200 worth of Spa Services with any cosmetic surgery! If you’ve thought about cosmetic surgery, but have been waiting for just the right time . . . this is it!